This recipe was sponsored by Bob’s Red Mill. All opinions are my own. 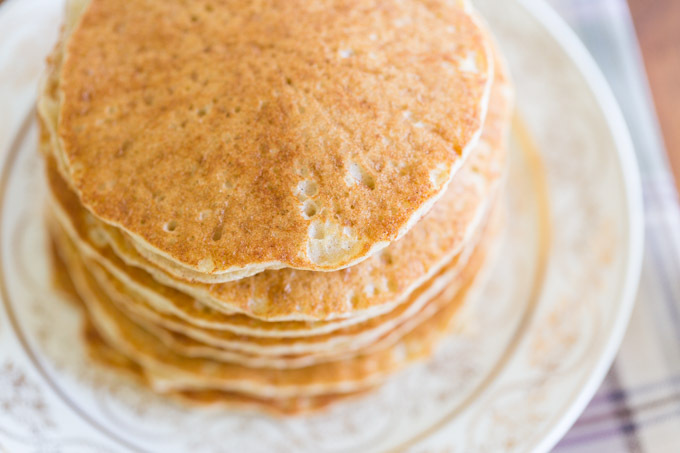 These sorghum pancakes have crisp, lacy edges and perfect golden brown color. Made with sorghum flour, real buttermilk, real vanilla, and butter, they’re as good as any traditional pancake—I think they’re even better, and they’re totally gluten free! When I first learned that I had to go gluten free, I panicked. Overnight, everything from pasta to pizza, from croissants to croutons, every well-loved recipe and restaurant, all of it became off limits. My partner throughout this journey has been Bob’s Red Mill. They’ve provided all kinds of gluten free grains, from oat flour to popcorn, for me to experiment with. 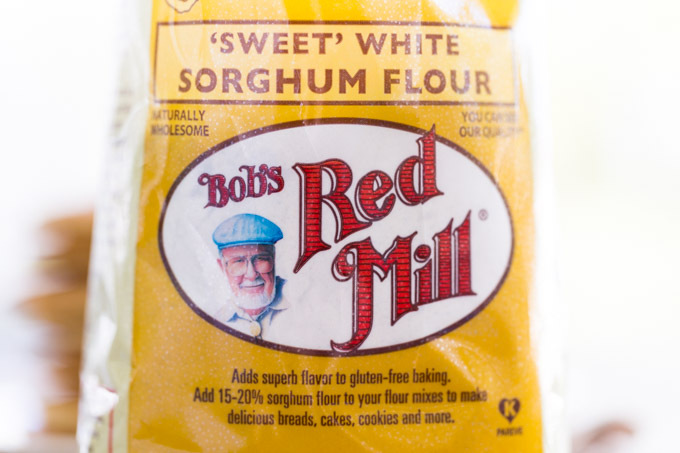 This time, I’m using Bob’s Red Mill Sorghum Flour. Sorghum flour can be used in all kinds of baked goods. Many gluten free bakers prefer it to rice flour because it has a smoother, less gritty texture. 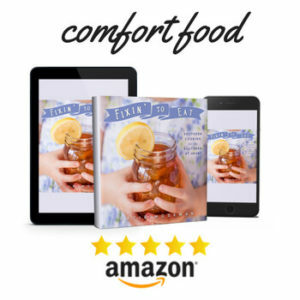 Its mild and slightly sweet flavor makes it perfect for pancakes, muffins, and sorghum cornbread. 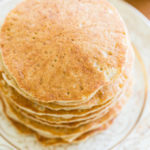 Although many gluten free recipes are complex (due to the necessity of additional, less common ingredients that compensate for not using wheat flour), this gluten free sorghum pancakes recipe is as simple as it gets. It’s basically a traditional buttermilk pancake recipe that swaps in sorghum flour for wheat flour. Nothing fancy, nothing intimidating; if you can make traditional pancakes, you’ll feel right at home with this recipe. 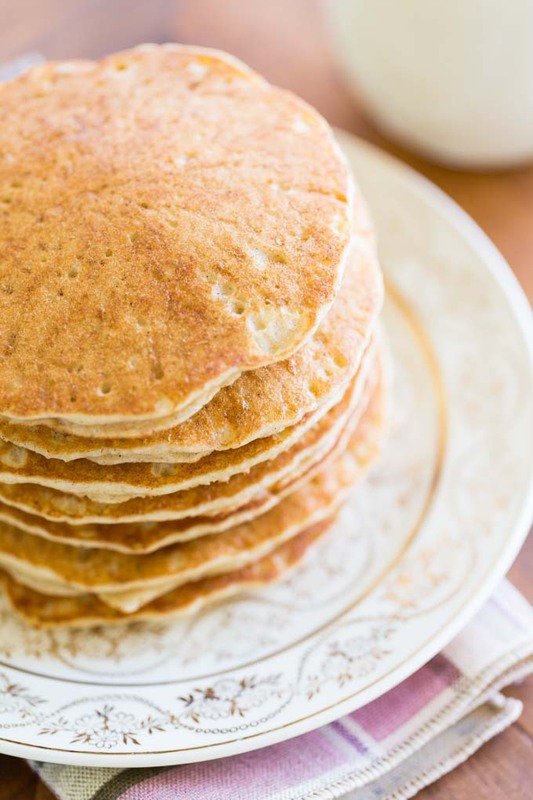 These sorghum pancakes have crisp, lacy edges and perfect golden brown color. Made with sorghum flour, real buttermilk, real vanilla, and butter, they're as good as any traditional pancake—I think they're even better, and they're totally gluten free! Whisk together the dry mix ingredients in a large mixing bowl and make a well in the center. Place a nonstick skillet on a burner and preheat it over medium low heat while you continue to make the wet mix. Combine all the wet mix ingredients in another mixing bowl and whisk until thoroughly combined. It may look curdled or slightly chunky; that's normal. Test the pan by flicking in a few drops of water. If they immediately sizzle, the pan is ready. Pour the wet mix into the well of the dry mix and whisk until well combined. The batter should be easily pourable; if it is too thick, add 1/4 cup of water and whisk it into the batter thoroughly. Add batter to the pan approximately 1/4 cup at a time. Cook each pancake on one side until the bubbles that appear in the batter burst and stay open, then flip to cook on the other side until the pancake puffs up in the middle. Repeat with the rest of the batter. Note: the pan may start to get too hot as it continues to heat. If pancakes are over-browning before they cook through, lower the heat slightly. Remove cooked pancakes to a plate and cover to keep warm, or place in a warm oven until all pancakes are cooked. Serve immediately. 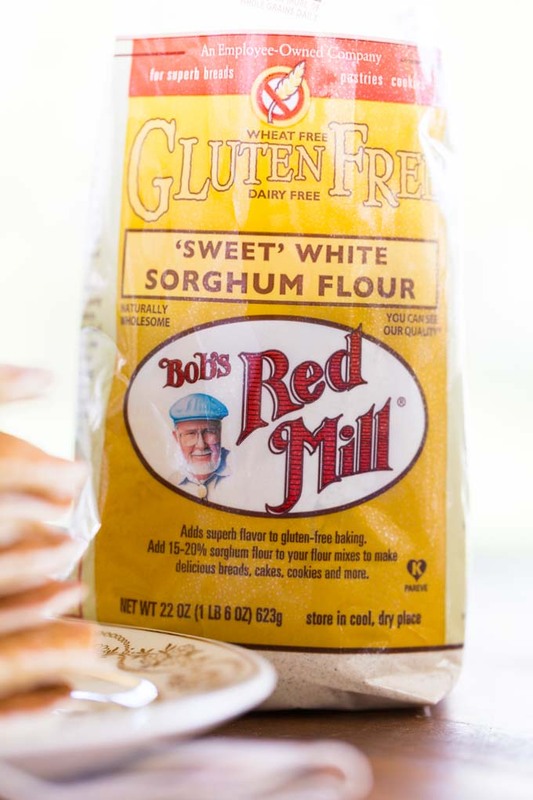 Pick up your sorghum flour and other gluten free products at Bob’s Red Mill. We made them tonight. They look and taste great! My son is son is so happy! Thank you! 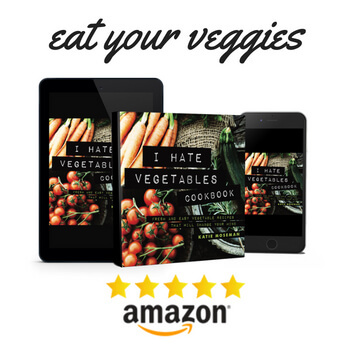 I’m so glad you liked them! They’re my favorite kind of pancakes. I wonder if I could omit the sugar? I mean I know I can but what would be the outcome. Would the pancakes still be possible if I substitute coconut oil for butter? How about almond milk instead of buttermilk? I would love to hear from you. Thank you for your time. Sugar helps the pancakes develop that nice color and slightly crisp edges- omitting it could cause them to look different and have a different texture. Swapping coconut oil for butter is probably fine. Almond milk… well, it’s drastically different from buttermilk in consistency, flavor, and fat content. For me, buttermilk is a key component of this recipe. Pancake recipes are usually pretty flexible, in that you can make a lot of substitutions and you’ll still get something that looks like a pancake. But it may not taste quite as yummy as it would with a little sugar, butter, and buttermilk, if you catch my drift. 🙂 Of all the substitutions you asked about, the coconut oil / butter swap is probably the safest bet. Rather than omit the sugar, I’d probably swap in another granulated sweetener that’s more acceptable for your needs (like coconut sugar or something along those lines). Are you dairy free? If so, you may want to try making your own vegan buttermilk as a substitute. Hope this helps! I bought whole grain sorghum and thought it would be great as a snack (popped) or to use as a side grain. It did not pop easily and although its kernels are softer than that of corn, they should not be munched on unpopped. I am a dentist and they ARE hard enough to shear off a cusp. Moreover, it was not to my liking at all as a side grain. I came across your blog and was so happy to find a recipe for the flour version and your advice to use a coffee grinder to grind the grain. 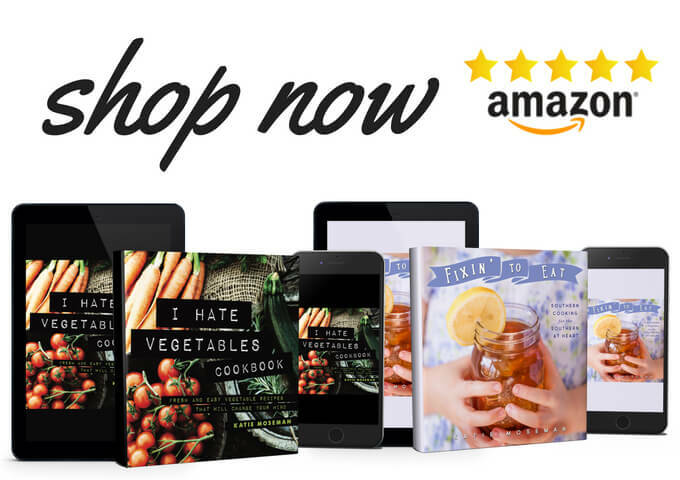 I have not made this yet, but was so grateful for your advice and could not wait to thank you. You’re very welcome! These are my favorite pancakes. And I’m so appreciative you mentioned that it wasn’t a good idea to eat the unpopped kernels; so many sources I’ve read have said it was OK to eat them. I’m glad I know better now! The best gluten free pancakes. I just tried.